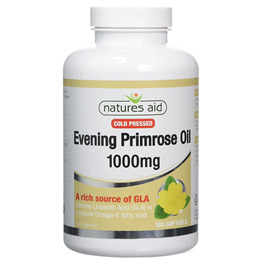 Evening Primrose Oil provides an excellent source of the important omega-6 essential fatty acid - Gamma Linolenic Acid (GLA). This type of fatty acid must be obtained from the diet as the body does not produce it itself. 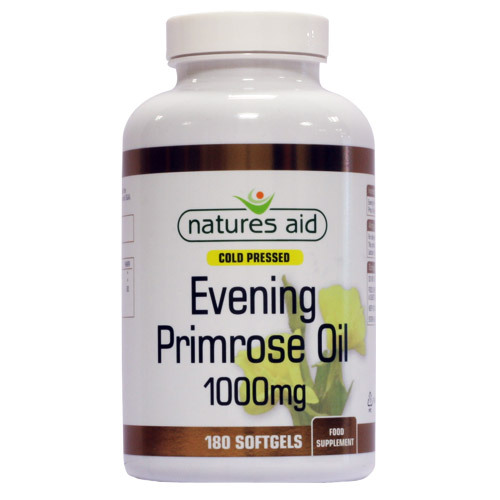 Natures Aid Cold Pressed Evening Primrose Oil 1000mg provides 80mg of GLA and 10mg of Natural Source Vitamin E per capsule. Evening Primrose Oil, Gelatin, Glycerine, Natural Source Vitamin E Prep (d-Alpha Tocopherol - product of soya, Sunflower Oil). Take 1-2 softgels per day with food or as required up to a maximum of 6. Below are reviews of Natures Aid Evening Primrose Oil - 180 x 1000mg Softgels by bodykind customers. If you have tried this product we'd love to hear what you think so please leave a review.